The Honor 9 has been out for a couple of months or so at this point, and today we’ve caught a glimpse of the Honor 9 in three other unreleased colors. In addition to the already available Glacier Grey, Gold, Midnight Black, and Sapphire Blue are: Yellow, Peach Pink (Red) and Orange. Judging only by the renders, keep in mind it’s not too difficult to manufacture believable renders like these, so do proceed with the notion that these could be fake. Otherwise, we’d previously seen rumors of a light purple-colored Honor 9, but these rumors came about months before the phone launched. Anyway, given that the Honor 9’s ultra-reflective back glass is so hard to ignore, it’d be much harder to ignore with funky colors like these. We also reviewed the Honor 9, you can check that out here. 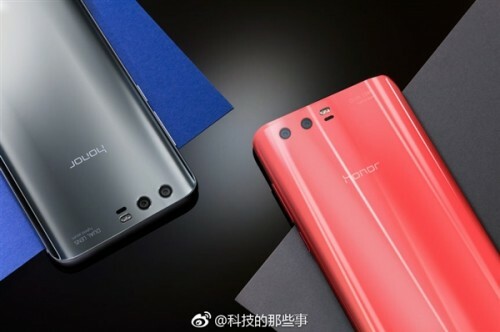 Unlike the Honor 8, we didn’t get to see the Honor 9 make it to the United States. Otherwise, the Honor 9 packs a Kirin 960 CPU, 4 or 6GB of RAM, and sports a 5.1” 1080p display. There’s a dual camera setup (12MP RGB + 20MP Monochrome) and the base model comes with 64GB of internal storage. I’d definitely rock the red and orange color options, not sure about yellow though. What do you think of these renders? When does the honor note 9 come out!